Stop missing important calls because you couldn’t hear your phone ringing or vibrating. Thanks to the app we’re going to recommend to you today, you will never again miss a call from such trivial things. The Flash on Call and SMS app is a brand new app that notifies the user with blinking light signals in order to give them a visual notification when someone is calling or texting them. This app is an amazing thing that is really handy for tons of situations. 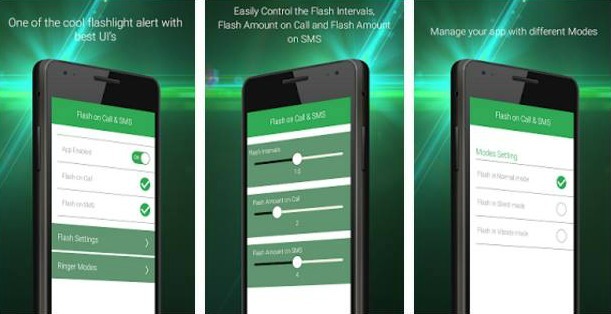 The Flash on Call and SMS app does just what it says, and it does it wonderfully. Thanks to the app’s settings, users can change the frequency of the flashes. The app has a perfect interface, and everything is right where it should be. The graphics and buttons are intuitive and easy to understand by everyone out there. Everyone can use this app in their own way, like checking up on phone calls during meetings, and deciding whether or not you should wait for the meeting to end or pause the meeting for 5 minutes and return the call. The app has tons of uses both at work and in your daily life. You can check out more about the app, as well as download it, on Google Play.